The Ancient Parishan Ancient Parish is a Church of England parish which had both ecclesiastical and civil functions of Guildford St. Mary is now part of the modern ecclesiastical parishan ecclesiastical parish is an administrative area within the Church of England or Roman Catholic church. It is distinct from the civil parish, a local government unit in England of Guildford Holy Trinity with St. Mary's. There are around 400 names for Guildford St. Mary in the Index to the Surrey Monumental inscriptions Library. They were copied 12 Jun and 2 Jul 1976 by Clifford Webb, only inscriptions in the Churchyard were noted. The Stones have suffered much from flooding and many are illegible. WSFHS CD8 (The The Guildford Collection) has marriage records for Guildford St. Mary to 1837; Baptisms to 1840 and Burials to 1865. See our sales page for more information (opens in a new page). WSFHS CD10 (The Surrey Burial Index) has burial records for Guildford St. Mary from 1540 to 1865 For a full list of parishes covered click here (opens in a new page). or see our sales page for more information (opens in a new page). 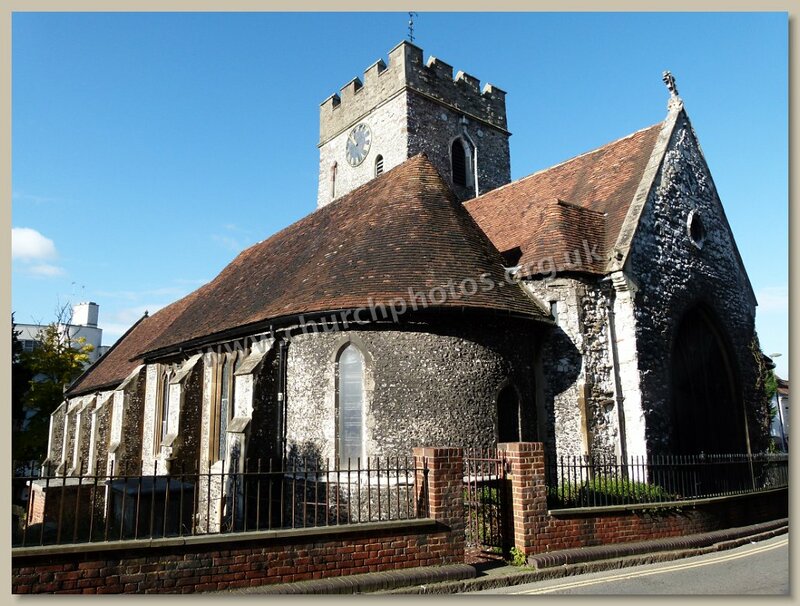 WSFHS CD30(Ancient Parishes in the Guildford District) has Baptismal records for Guildford St. Mary from 1540 to 1840, Marriages from 1540 to 1837 and Burial records from 1540 to 1865, see our sales page for more information (opens in a new page). If you came from the Guildford Borough page use the button at the top of this page to close the page and go back to the Guildford index.